I am a foreigner in Berlin, right? After a little investigation it turned out the show has no words – just music. I would really think German music WITH words is dead – if I haven’t heard Rammstein. 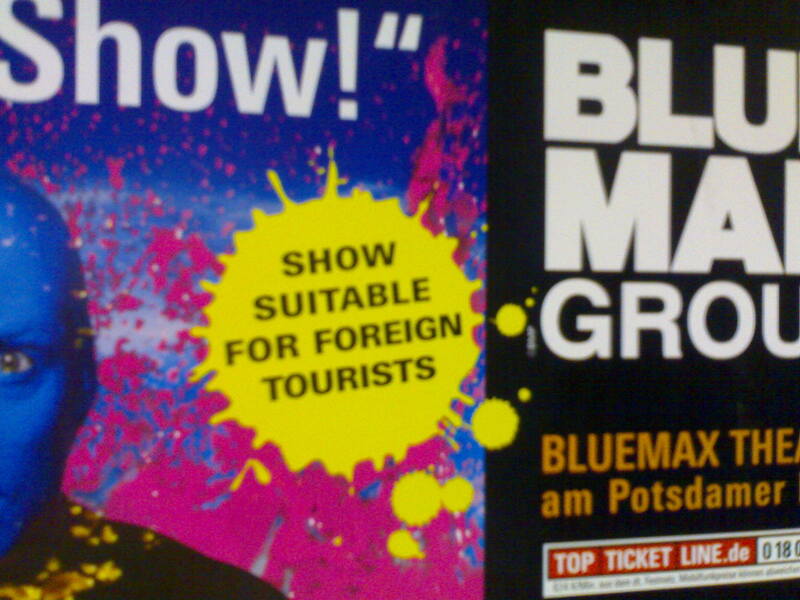 But apparently the guys from Blue Man Group know the situation better.